Tsuki is a beautiful young woman who stands at a rather average height of 5'7" with a slender yet delightfully curvy figure. She had quite a number of hopeful men chasing after her in her youth, and even to this day. She has ink-black hair and startling, vivid blue eyes that pictures never do any justice to. The odd combination of dark hair and bright eyes is one commonly found in her clan, and thus many do not find it so strange anymore. Due to living in Kirigakure where the sun rarely manages to break through the thick mist, Tsuki's skin tone is quite pale yet not so much that she looks ghostly. The pale skin is also a common trait in her clan, so this is widely accepted and known too. Her hair reaches down to around her hips in length from years of growing. If the rare opportunity arises that she does train or fights, she will tie her hair up into a high ponytail with a few bangs hanging down purposely. When in the Mizukage office, it is rather common to see her holding a fan of some nature, as shown in two of the pictures above. It is merely a habit she got from her mother, and she admires the beautiful detailing on them as well. As for outfits, due to being a female Tsuki is prone to chopping and changing her outfits depending on what her mood is when she gets dressed. She has many clothes but this too is normal, and she has a collection of shoes which is also rather normal. Most of the latter simply sit in her wardrobe to look pretty since she never wears them. The outfit she wears more often than not is a basic dark blue shirt that hugs her figure with t-shirt sleeves, a black skirt with an ice blue trim, white shorts underneath and black sandals with a small heel on them. 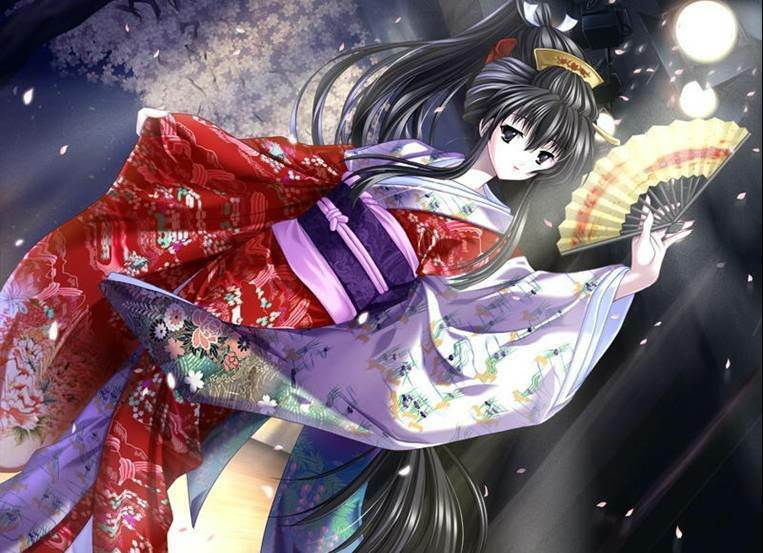 Over this she wears the loose Mizukage robe with the Land of Water's Kanji on the back, and she always wears it undone. In her office she has the Mizukage hat, but she never wears it unless on formal ceremonal occasions or meetings. She does not favour simply this outfit, however, and will often wear dresses, tank tops, shorts, leggings and trousers too. As for colours; most of her clothes are in the ever versatile black, a range of blues, purples, dark greens and whites. This list of colours is often referred to as the 'cool colours', which is rather fitting in relation to her clan. Tsuki is often described to have the best qualities in a leader. She is very likeable and polite to those she meets, intelligent and determined to make her people happy. However, she has a sense of dedication, strictness and a dominating aura about her person also. How could one make every person in the village obey them with simply being kind? Although kindness goes a long way with gaining support, her stern side also appeals to the villagers as well. She is the perfect person to have in a crisis, as shown with the past years of recovery. She took over the role of Mizukage in a bad time since they were starting to run out of money in order to bring imports into the village, and their military force was down to nearly nothing. In nothing more than a year or so, Tsuki had the village facing in the right direction in terms of economic and military aspects. Because of this, people of the village have been eternally grateful to her, thus giving her the name of 'The Guiding Light of the Mist'. Rather like her clan, Tsuki does have a very cold and harsh side that she has put under wraps since making the position of Mizukage. She was very often the rational thinker in her days as a full-time shinobi, and needed to be the way she was to get things done. 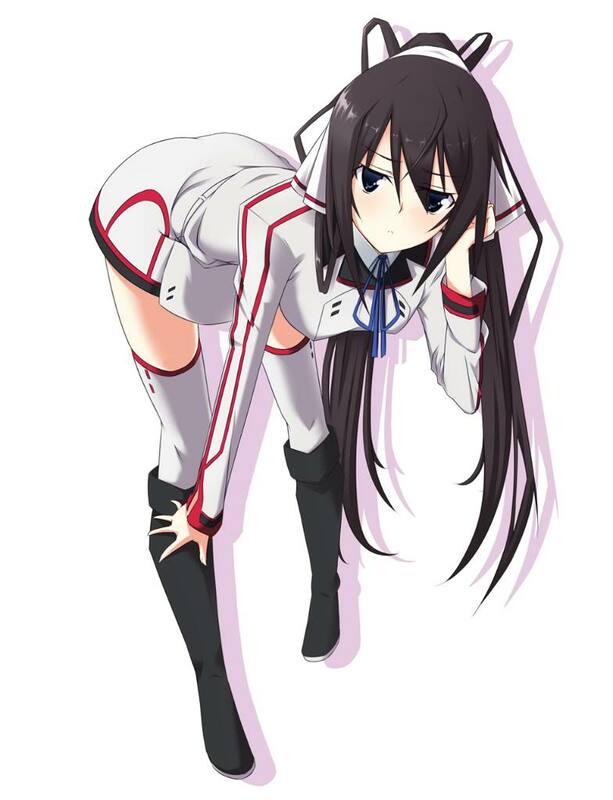 Since she has been sat behind her desk, however, she has warmed up dramatically. She is nice, polite, sweet, kind-hearted and a pleasure to talk to about anything. She speaks with a tone of class in her tone of voice that makes people listen, for it sounds like she knows what she is talking about. Although it happens very rarely, when one insults Tsuki and anything she holds dear, she can become quite nasty with a firey temper. "Everything we're not makes us everything we are." "Everybody has the capacity to change." "We make our own destiny." + Tsuki's Ice Ninjutsu is famous across the shinobi world. Needless to say she was a clan prodigy and learnt everything seemingly without breaking a sweat. + Her speed, strength and stamina have reached immense levels with her practise in Kenjutsu. This means that if she is disarmed she can hold her own with her sheer strength. Also, her chakra capacity is larger than most shinobi's. + Battle strategies are Tsuki's forte. She can easily make them down to the finest detail under great pressure. - Her lack of practise in Genjutsu has left her very vulnerable to it. Despite her intelligence being enough to realise she is under a Genjutsu, she finds it hard to get out of one. - Being quick to anger with her terrible temper, Tsuki loses control big time. She cannot think straight once somebody has pushed her buttons, and she attacks blindly in a fury. This can sometimes be good, but more often than not it is a bad thing as it can get her seriously hurt. - Although she can fight at long range, it isn't a range she has practised very much. So if somebody forces her to long range, her fighting will not be as good. Special Abilities: This is the personal sword of the Seven Swordsmen of the Mist's leader, Tsuki. It is roughly 3 feet tall, perhaps bigger. Its blade is thick and has a slight 'crack' on one side near the point of the sword. The blade itself is black in colour with silver a silver sheen running down the middle from the hilt. The hilt itself is silver with odd blue patterns, and the handle is silver with black material wrapped round it. The metal has chakra conducting properties, allowing the user to project their elemental and regular chakra through the blade for more powerful attacks. It was specifically forged to accomodate Tsuki's bloodline element, and can project Ice through it also. Like Samehada has the ability to eat chakra, Shimochi can sense chakra in a large radius. It is unknown how the sword notifies its holder of chakra and amounts, but it isn't a complex way. Origin: This sword was forged personally to become Tsuki's blade as she took over as the successor for the Seven Swordsmen of the Mist. It was rather strange for a woman to become part of the organisation, yet at the same time it was a proud moment also. Ever since then, Tsuki has held the sword in high priority. It never leaves her side, so to speak, and she always keeps it safe. Description: The user will use the moisture particles in the air to create sharp shards of ice that are hurled at the opponent. Usually 10-15 'shurikan' are created and thrown at a time. Description: The user will use the moisture particles in the air to create their Ice element into their palms that they then place onto the floor and freeze the surface for their advantage. This ice acts as a slippery terrain for other ninja to fight on, thus giving them the advantage in a fight. Description: The user will use the moisture particles in the air to create their Ice element and manipulate it into the shapes of about 50 birds with sharp bodies to go pelting into an opponent. This jutsu is usually used when the clan member is faced with more than one opponent. Description: The user will use the moisture particles in the air to create their Ice element and form four large pillars of solid ice that rise out of the ground and surround a group of opponents (it's rare to use it on a singular shinobi). The ice will then begin to spread out and completely encase the opponents inside it, even covering the top. The ice will then begin to crack and fall down onto the people trapped inside. This jutsu is barely used because of the immense amount of chakra needed to use it. Description: The user will use the moisture particles in the air to create their Ice element and form a large wall of solid ice to protect themselves from a powerful attack. This wall is usually used also to protect comrades from harm. Description: The user will use the moisture particles in the air to create their Ice element and create a hailstorm. The severity of this hailstorm is dependant on the rank of the clan member. At C rank, the hail is large enough to annoy an opponent and slightly reduce visibility. At B rank, the hail is large enough to hurt but the ice is blunt and therefore causes no damage, and reduces visibility so that an opponent can see about 4m in front of him/her. At A rank, the hail is large enough and sharp enough to cause slight cuts to bare skin, and it reduces visibility to about 3m. At AA (roughly ANBU) rank, the hail is large enough and sharp enough to cut a little deeper so that it is irritable, and it reduces visibility to about 2m. At S rank, the hail is large enough and sharp enough to greatly annoy an opponent and bare skin will be badly scratched, as well as their visibility dropping again to barely 1m. This jutsu is also useful because it allows a clan member to already manipulate the existing ice in the area. Description:Suiton • Mizurappa is a Ninjutsu technique utilizing the Water Element. After forming the needed handseals, the user will expel a strong jet of water at his opponent. Description: Suiton • Taihoudan is a Ninjutsu technique utilizing the Water Elements. Amachi will generate water in his mouth and spit it as a stream at his target. Description: Fuuton • Daitoppa is a Ninjutsu technique which utilizes the Wind Element. After bringing his hand to his mouth, Orochimaru will blow a large blast of wind capable of leveling almost anything in its way. A variation of the technique involves a smaller blast of wind which gets ignited with flame. Description: Fuuton • Reppushou is a Ninjutsu technique utilizing the Wind Element. After forming the needed hand seals, Nagato will send a strong gust of wind towards his target. When acting in conjunction with another thrown weapon, the wind can increase its power and deadliness. Description: Fuuton • Renkuudan is a Ninjutsu technique utilizing the Wind Element. The user inhales a large amount of air into his chest and then slams his fist into his chest to expel it. When expelled it forms concussive spherical projectiles capable of inflicting large damage. Description: Dai Kamaitachi is a Ninjutsu technique developed by the Sand ninja Temari. 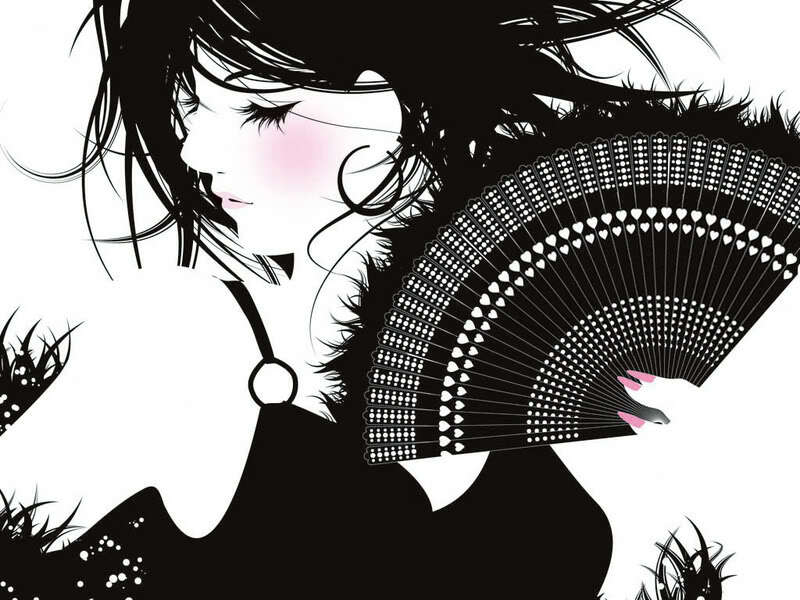 Named after a mythical creature, Temari uses her fan to blow a concussive wind that is imbued with her chakra. This technique is a bigger version of the normal Kamaitachi no Jutsu, having the ability to cause a great amount of cutting damage to the nearby area. This requires a fan. Description: This encircles the opponent with a spiral of wind, then the wind starts to rotate and is focused in rotating more and more fast. Once the opponent is imprisoned inside the spiral, the user can add projectiles, which will also encircle the opponent, effectively cutting them. That can make this jutsu deadly. This requires a fan, and will last one post. Description: Fuuton • Kazekiri no Jutsu is a Ninjutsu technique utilizing the Wind Element. To utilize this technique, the ANBU member will form the needed hand seal. A large slicing wind will then be created which can cut through his opponent. This can be used to immobilize large summons. This will be the initial attack in an elemental trio used by the ANBU. Description: Fuuton • Mugen Sajin Daitoppa is a Ninjutsu technique utilizing the Wind Element. The user can inhale a large amount of air into the chest cavity. A ninja can then exhale the air in a large gust capable of turning back an incoming attack. Description: Fuuton • Tatsu no Ooshigoto is a Ninjutsu technique utilizing the Wind Element. Temari will swing her fan into the air, causing the sky to grow dark and stormy. These clouds will create a cutting tornado that will drop down on top of her target. This requires a fan. Description: Shikoku Fuuin is a Fuuinjutsu technique used by the Leaf Sannin Jiraiya. By forming the needed sealing chakra on his finger, Jiraiya can engrave a message into an object. Description: This technique creates a barrier around a place by placing four forbidden tags around a fifth. The only way to remove the barrier is by removing all five tags simultaneously. Not only would this require a group of at least five people, it also requires an immense search, since the four tags can be scattered in any direction, as far as 800 meters from the fifth seal. This makes breaking through this barrier almost impossible. Description: Fuuka Houin is a Fuuinjutsu technique that allows the ninja to seal away a nearby fire. After unrolling a scroll to hold the fire, the ninja writes the needed sealing incantation onto the scroll. Then by forming the needed handseals, a vapor will emanate from the scroll to encompass the fire and take it back to the scroll for sealing. Description: Gogyou Fuuin is a Fuuinjutsu technique. A ninja forms an elemental seal on each of his fingers, one for each of the following five "elements": water, metal, earth, fire and wood. When this seal is placed on a person, their chakra will become erratic and extremely hard to control. Description: Gogyou Kaiin is a Fuuinjutsu technique. A ninja forms an elemental unseal on each of his fingers, one for each of the follwoing five "elements": water, metal, earth, fire and wood. He then applies his hand with force to the Gogyou Fuuin to remove it. Description: This technique draws a "sealing formula" on, for instance, the ground or a wall and completely blocks the target's chakra. Furthermore, the tenketsu of the person caught in the centre are all closed. However, getting the target exactly inside the sealing formula is difficult. Description: This jutsu requires a scroll on which a blueprint of a particular area should be. It will cause five large altars to emerge in five different points around the desired area. Afterwards, the altars will form a barrier around the area. This barrier has a very high durability, anything that makes contact with it will immediately be engulfed flames. The only way to pass through the barrier unharmed is with a special seal. Description – Kekkai: Tengai Houjin is a Ninjutsu barrier technique. After clacking his feet together, Jiraiya can extend a sensory barrier to detect the movements of a hidden foe. Should the field touch his opponent, he will know their position immediately. Description – Kage Bunshin is a Jounin level Ninjutsu technique. When Naruto stole the scroll of seals, he learned this technique as well. The normal Bunshin technique creates a copy of the ninja that lacks any substance. The Kage Bunshin distributes the ninja's chakra evenly among the clones and creates a real copy with form and substance. The clone itself can also utilize any jutsu the original ninja knows. When the clone finally disperses, any new knowledge it has gained is passed back to the original ninja and any additional clones. This makes Kage Bunshin an excellent training method if the ninja has the chakra capacity and stamina to maintain the Kage Bunshins for an extended period of time. This allows the ninja to essentially reduce the time it takes to train and learn with each clone added. This is especially true when used with Tajuu Kage Bunshin. Description – Tajuu Kage Bunshin no Jutsu is an advanced variation of the Kage Bunshin Ninjutsu technique which was banned by the First Hokage. This has not stopped many Jounin–level ninja from learning the technique however. Instead of creating several clones, several hundred clones are created. Like normal Kage Bunshin a ninja's chakra is split evenly among the clones when created. The clones themself can utilize any jutsu the original ninja knows. When the clones finally disperse, any new knowledge they have gained is passed back to the original ninja and to any additional clones. This makes Tajuu Kage Bunshin an excellent training method if the ninja has the chakra capacity and stamina to maintain the Kage Bunshins for an extended period of time. This allows the ninja to essentially reduce the time it takes to train and learn with each clone added. With the great number of clones in Tajuu Kage Bunshin, the ninja can effectively learn in a few weeks with a hundred clones what would take one ninja numerous years. ~*~ Tsuki keeps a personal messenger bird perched on a large wooden staff in her office that she calls Nobu. It is a mid-sized hawk that people can recognise due to its distinctive squawk. Otherwise, he looks like a pretty basic hawk. ~*~ Tsuki's summon animal is the Lynx. Due to spending time training in her summon world, she can call forth any member of the Lynx family she got close to. They vary in size and abilities, but all have inherited her ability to manipulate Ice; making them like a clan summon in many cases. The Lynxes have respective names and are all very close to Tsuki. They will do anything for her.